When you think of a day out in London, visiting nature attractions is generally not the first thing that comes to mind. Although it offers some of the best short breaks, London really is a big, concrete jungle. However, if you know where to look, you can discover some beautiful and truly stunning parks and natural enclosures that offer a truly one-of-a-kind experience. We’ve uncovered some of the best parks and nature experiences around London that are sure to give you a much-needed breath of fresh air. Who knew you could get back to nature 525-feet in the air? 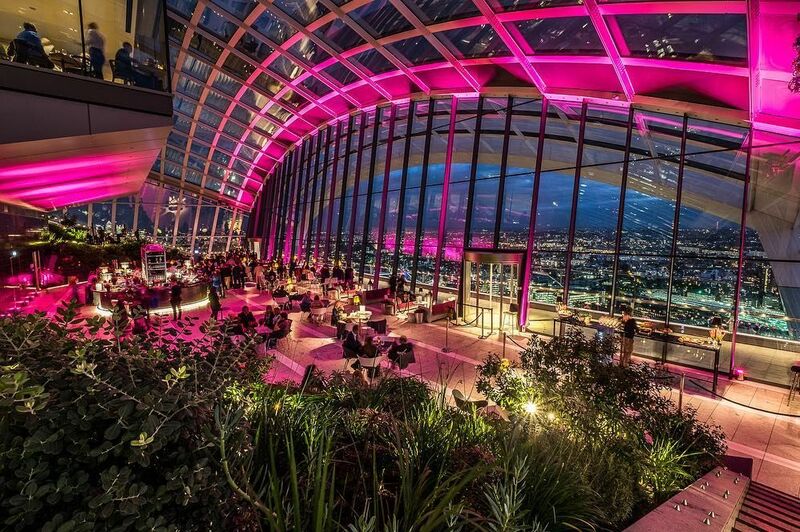 With panoramic views of London’s skyline and the highest rooftop gardens in London, Sky Garden offers a dining experience like no other. According to their press release, you can enjoy “gorgeous green gardens by renowned landscape architect Gillespies which elegantly envelope the restaurants on either side and a whole host of activities from early morning yoga, cinema nights with a view, to live music sessions”. The venue also offers several different bars and restaurants across its three storeys, each serving up something delectable. Whether you want to book in for breakfast and yoga or enjoy a three-course meal then dance the night away under the stars, Sky Garden is sure to transport you to another world. 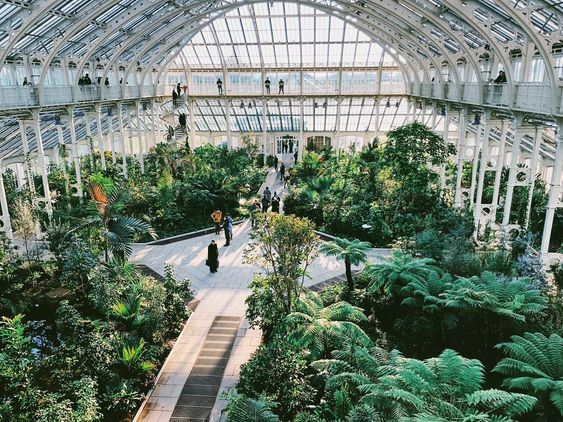 If you’re heading to London’s outskirts to get out of all the hustle and bustle of the city, head to Richmond and unwind in Kew Gardens’ stunning botanical gardens. Arabella from Kew Gardens told us what makes Kew so different to other gardens in and around the capital: “Set in 326 acres of beautiful grounds containing the largest living plant collection in the world, Kew Gardens is a UNESCO World Heritage Site less than 30 minutes from central London. “The Gardens’ famous glasshouses provide hours of fascinating discovery whether it’s a tropical rainforest in the iconic Palm House; a journey through ten climatic zones in the Princess of Wales Conservatory or giant lily pads in the Waterlily House. A visit to the Temperate House is also a must. Looking for some much-needed zen? 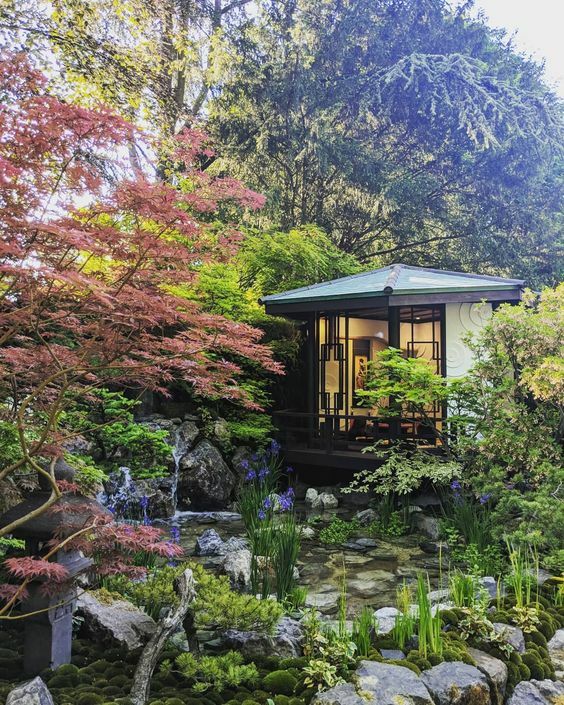 A trip to Kyoto Garden is just what the doctor ordered. 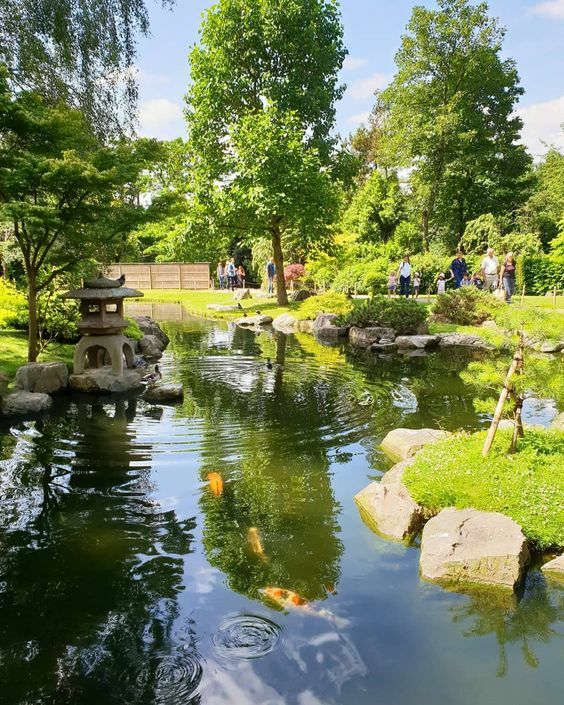 This stunning Japanese garden was originally created for the 1992 Japan Festival in London but has since become a much-loved sculpture garden amongst both Londoners and sightseers alike. The garden is complete with peaceful stone waterfalls, peacocks, ponds filled with colourful koi carp and beautiful Japanese trees, making the perfect escape to somewhere not only visually beautiful but with a cultural difference too. This unique park can be found in Holland Park, Kensington and is the perfect day out no matter the time of year. Walk along the pebbled paths marvelling at the unique sculptures and let yourself be transported to a Japanese oasis. 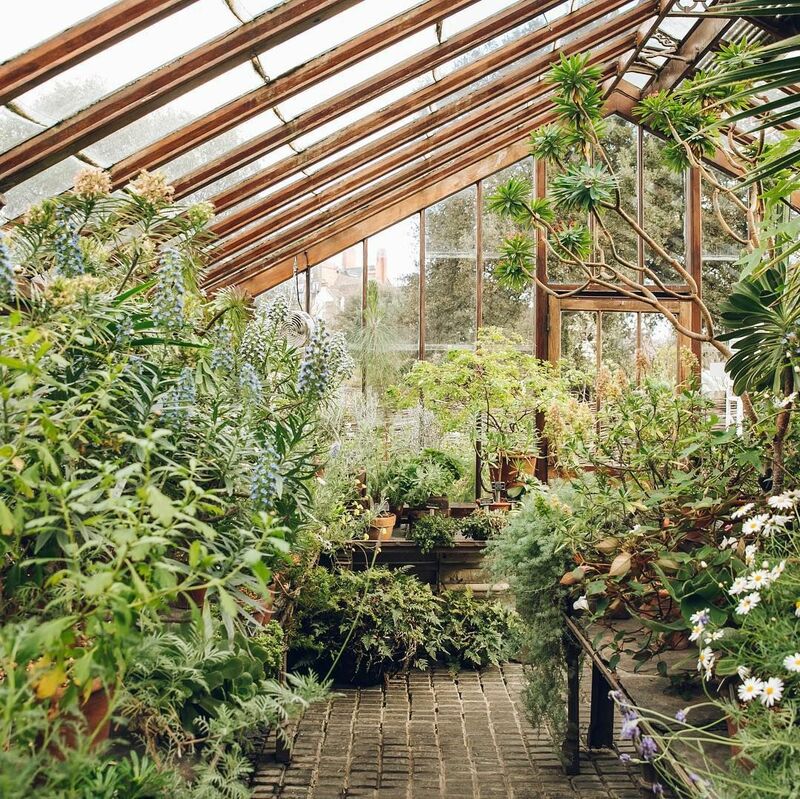 Deemed as ‘London’s oldest outdoor classroom’, Chelsea Physic Garden is not your average garden. Unlike the other nature gardens on this list, Chelsea Physic Garden is home to over 5,000 different plants that all offer an edible or medicinal purpose. First created in 1673, the garden was used by apothecaries in order to grow some of the unique medicinal plants that had been encountered from all over the world. Sometimes, the best things only come around once a year. If you’re a lover of colourful flowers and breath-taking garden designs, attending the prestigious annual RHS Chelsea Flower Show is a must. The glamorous and quintessentially British flower show sees a wealth of contenders vying to be crowned a winner in this fantastic five-day competition, growing the most vibrant and beautiful flower displays and meticulously constructing grand landscapes in a bid to win over the judges. Enjoy marvelling at the impressive and stunning garden displays while enjoying some delicious food and browsing all the fabulous trade stands. Fancy attending this year’s show on May 21-25 th? We offer some great RHS Chelsea Flower Show packages that include your hotel stay and two river cruise tickets. Did you know that we are also the headline sponsor of the RHS Malvern Spring Festival 2019? Find out more about our exciting partnership here. 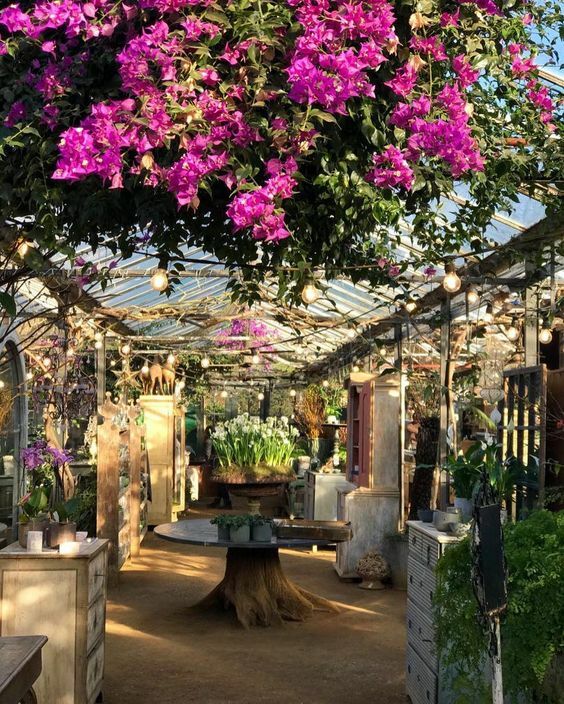 For something a little different, Petersham Nurseries offers the perfect escape for when you’re looking to “reconnect with nature, restoring a sense of balance and space”. At either centre, you can walk around the grounds, appreciating the beauty of the plants and trees around you, enjoy a luxury meal in the onsite restaurant or cafe, stock up on some luxury, organic produce from the delicatessen, browse the homeware on offer and even visit a florist in their Covent Garden branch. Spend the day wandering around the beautiful gardens, stopping by the delicatessen to pick up some rustic, artisanal goodies to take home, or why not book in for a class, such as a pasta masterclass, wine tasting or even learning about mindfulness? If you’d rather be wined and dined amongst beautiful flowers and greenery, book a table and enjoy a sensational, organic meal, prepared with culinary excellence. So, no matter where you are in London, tucked away somewhere unexpected is a beautiful garden or nature experience just waiting to be discovered. For more information on our London hotels, check out our website or get in touch with our friendly team today.